Exclusive! 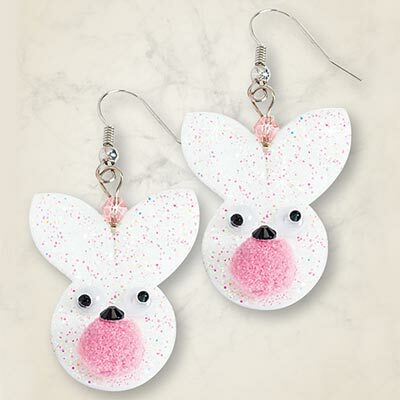 For a fashion statement that's both playful and unique, our cute and cuddly bunny earrings feature fun googly eyes and a pink puffball nose. Iridescent glitter surface adds an extra touch of flair. French-wire style. 2"l.
I put these earrings in my daughter's Easter basket and she loved them!